Only a couple more days to enter the Asian-Pacific Heritage Giveaway! This month we joined a group of Multicultural Kid Blogs bloggers to begin a new project called Global Learning for Kids. Each month we will choose a country to explore. The blogs that chose to cohost will write a post about that country--books, music, crafts, lessons, recipe, etc. and share it with a link party. This month we have been exploring Japan. We started with an introduction to the country on Multicultural Kid Blogs which I wrote as well as a few explorations on our own: round-up of our past Japan explorations, discovering sushi, and exploring origami. 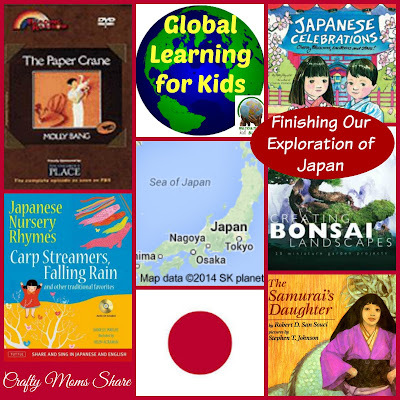 Today I am going to share a few more resources we used to explore Japan. I am providing links to the various resources for your convenience. I do not receive anything for you using them. I borrowed all of these from our public library. The first amazing resource is a DVD called The Paper Crane based on Molly Bang's book. This DVD is hosted by LeVar Burton. The live part is set at a Japanese restaurant in New York. The restaurant is set in a Japanese style garden. LeVar shares a bit about Japanese culture and then listens to Yoko Gated play the Koto and shows Mitsry Yafufuch make animals out of vegetables. There is also an exploration of origami and paper making. The story, The Paper Crane, by Molly Bang is read with the illustrations and there are also other Japanese American books reviewed. Finally LeVar joins Soh Daiko, a group of Japanese drummers. It shares so much of the culture with the viewers. 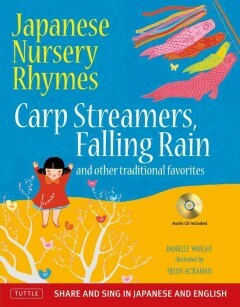 Next is a fun book and CD set of Japanese Nursery Rhymes written by Danielle Wright and illustrated by Helen Acraman. They are printed (and sung) in both Japanese and English. Now if you have been reading Crafty Moms Share for awhile you know we love nursery rhymes. Hazel has been loving listening to the CD in the car and she will flip through the book trying to figure out where we are. We have been really enjoying this one. 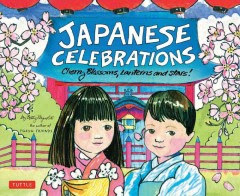 Next we looked at the Japanese Celebrations by Betty Reynolds. This book goes into the details of the various celebrations in Japan. Celebrations like the Sakura (Cherry Blossoms), Bean Throwing Day (February 3), Kan-butsu-e (Buddha's Baptism Celebration on April 8), and Tanabata (The Star Festival on July 7). These are just some of the festivals and celebrations shared. There are details about each including how they are celebrated and often why. Definitely a fun book and it is fun to see what a different culture celebrates. One of the origami books we read ended with the mention of bonsai. 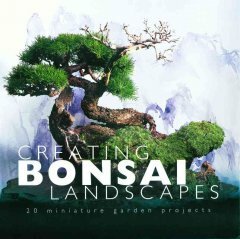 I thought we would explore a bit about bonsai. I couldn't find any children's books on it, so I took out Creating Bonsai Landscapes by Su Chin Ee. We enjoyed looking at the pictures of the bonsai landscapes. It at least gave Hazel an idea of what bonsai is. 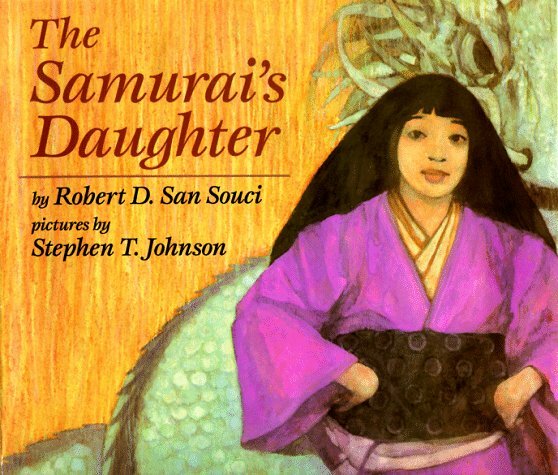 The Samurai's Daughter by Robert D. San Souci tells an old legend of a brave daughter of a samurai. The daughter uses what her father has taught her to save the life of a young girl as well as an entire island and bring back their good family name. It is a wonderful introduction to samurais especially for a girl. We have done a bit with samurais and All Done Monkey did a great post of books about samurais, ninjas and karate. 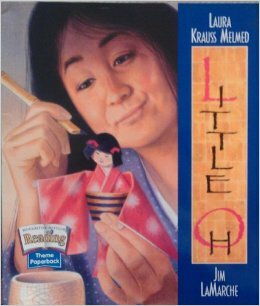 The last book we read was Little Oh by Laura Krauss Melmed and illustrated by Jim LaMarche. This is a fun story that has some origami and magic in it. A origami doll is made and comes to life. In the end she brings together a family and becomes a real girl. Such a fun story and we really liked it.